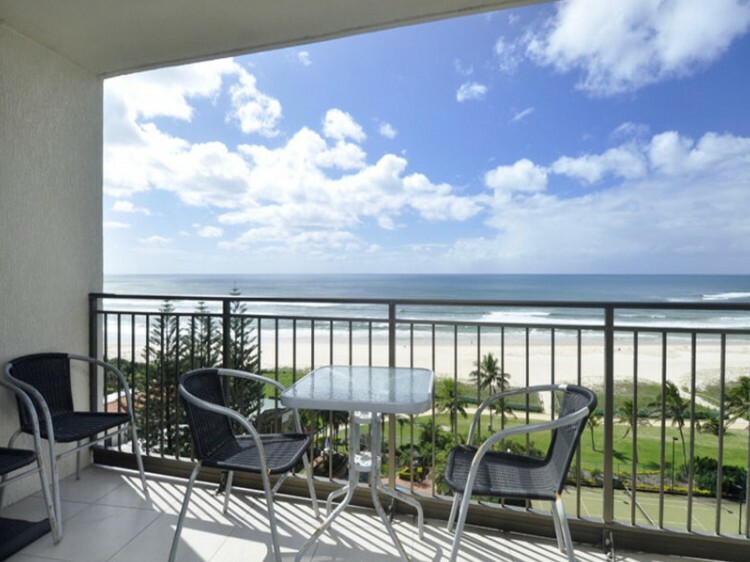 Royal Palm - the premiere pick of Palm Beach accommodation on the Gold Coast features spacious holiday apartments with ocean views from every apartment. 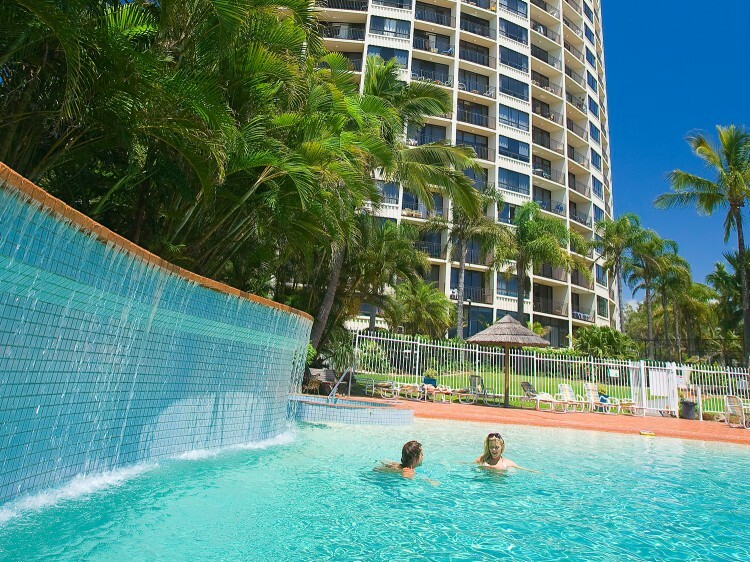 Situated on the magnificent golden sands of Palm Beach, a stones throw from the Currumbin Estuary, makes Royal Palm Resort the perfect setting for a relaxed holiday on the Gold Coast. Walk out of your apartment past the lagoon swimming pool and directly onto the beach with no roads to cross. 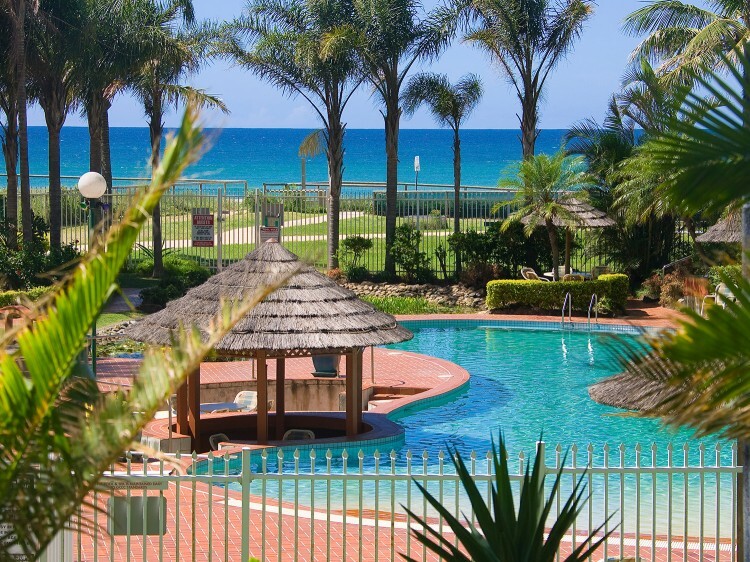 Restaurants, Shopping Centres are located within a short walking distance, and our Golf Clubs and other sporting venues as well as Jupiters Casino can be found only minutes away. Original condition, absolute beachfront apartment features full kitchen, laundry facilities, two bathrooms and two private balconies with panoramic ocean views and free cable TV. Partially refurbished, absolute beachfront apartment features full kitchen, laundry facilities, two bathrooms and two private balconies with panoramic ocean views and free cable TV. Fully refurbished, absolute beachfront, luxurious apartment features full renovated kitchen, laundry, two renovated bathrooms and two private balconies with panoramic ocean views and free cable TV. Two storey apartment on the 25th floor features three bathrooms, full kitchen, laundry, air-conditioning, sauna plus hinterland and sweeping ocean views. 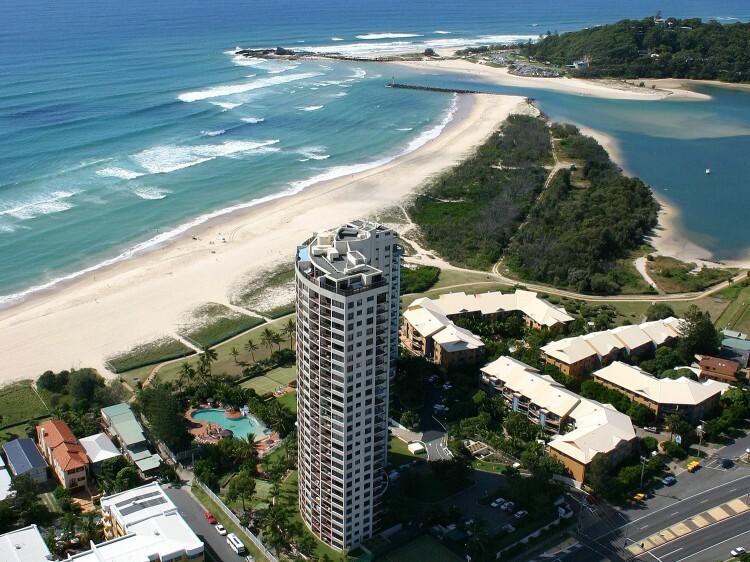 Located on the 22nd floor, luxuriously appointed featuring two private balconies with stunning ocean views. full kitchen, laundry facilities, open plan living area with air conditioning. Car parking is available for one (1) car per apartment. Additional parking is available on the road.